Circa 1826. 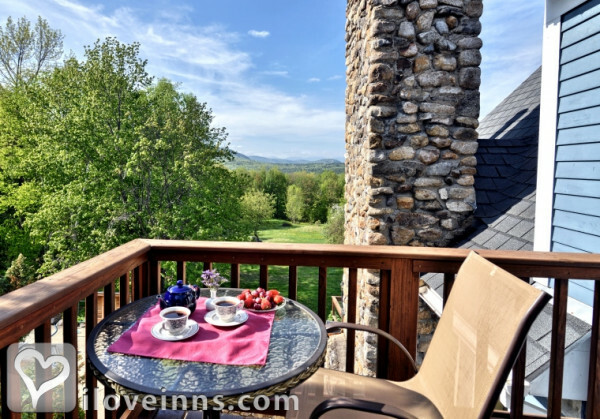 This rambling, blue clapboard farmhouse has a huge fieldstone fireplace, stone patio and outstanding views of the Mt. Washington Valley and the Presidential Mountains. 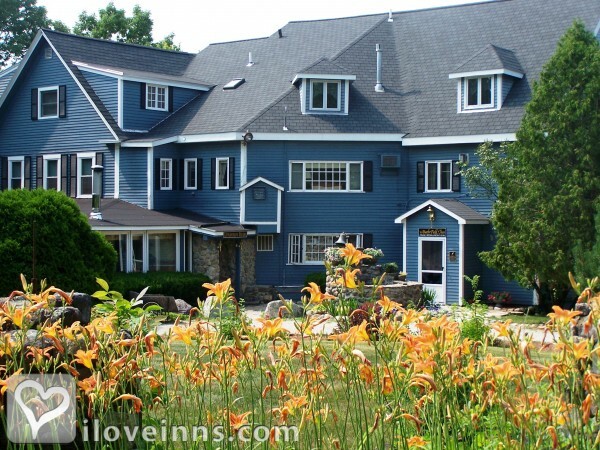 For many years, it was called the Bald Hill Grand View Lodge, but was renamed to honor the first European to climb Mt. Washington, Darby Field. 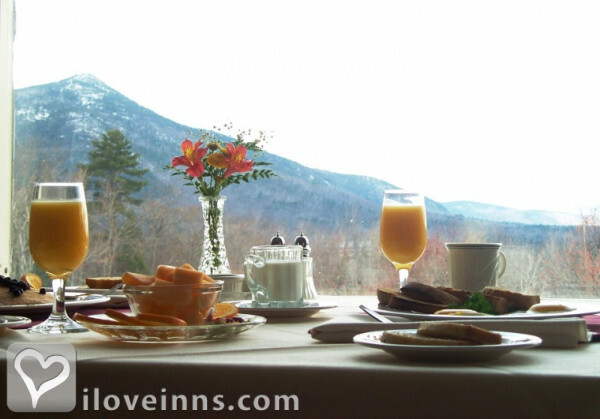 Bed & breakfast rates range from $110 to $270 per couple. Payment Types Accepted Include Master Card, Discover, American Express, Travelers Checks, Visa and cash. 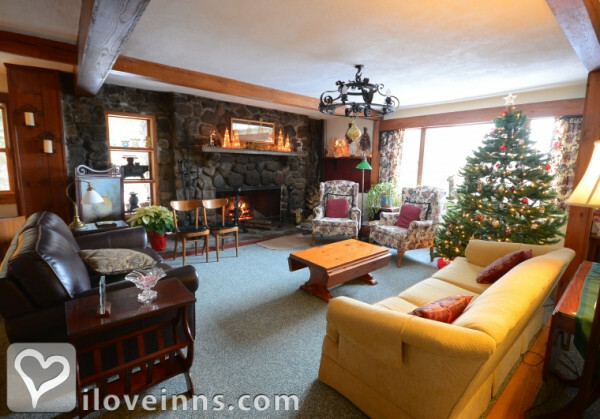 This property has 13 total guest accommodations with private bath, 7 with fireplaces, 4 with whirlpools, 3 suites. The types of beds available include King and Queen. Specialty Treatments: Individual or Couples Massage (60 or 90 minutes), Prenatal Massage (60 minutes), Hot Stone Massage (90 minute). 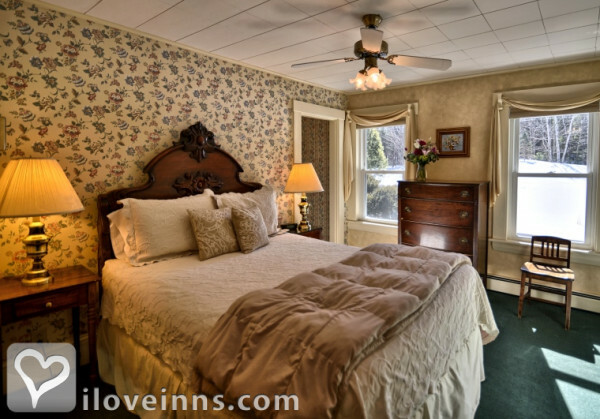 Dining by lamplight, spacious deluxe rooms with Jacuzzi tubs, two person soaking tub, or two person steam shower. 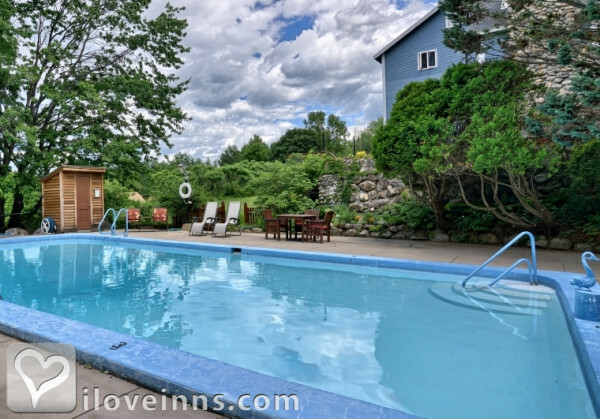 Beautiful gardens, outdoor heated swimming pool, onsite wooded trails, lots of outdoor seating, international wine list and local beer menu. 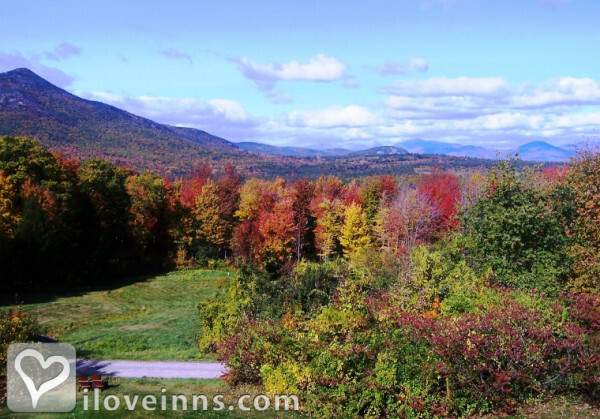 Select Registry, Country Inns of The White Mountains. 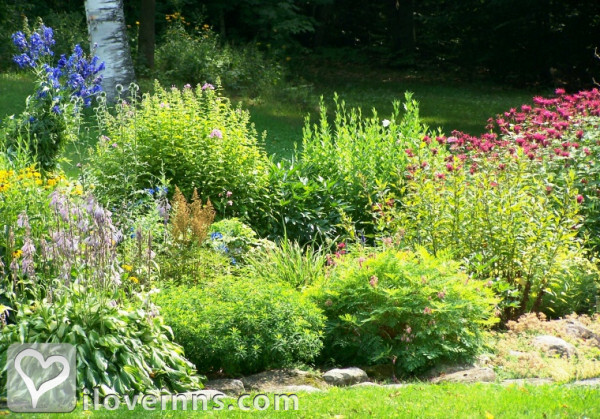 Award winning annual and perrenial rock gardens, vegetable and herb gardens and lush lawns surrounded by forest on three sides and a spectacular view of the White Mountains and Mt. Washington Valley to the north. Please note: there will be a $25 fee applied to all cancellations or transfers of reservations. For cancellations outside two weeks, a refund of the remaining deposit will be returned to the card on file; inside two weeks, refunds will be returned only if guest room(s) are able to be re-rented. 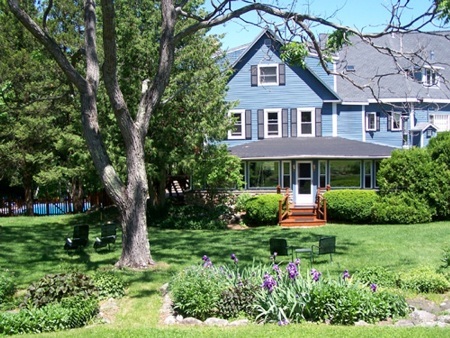 The original part of the building was built as a farmhouse in 1826 and was added to in the late 1940s. This is an original recipe. Perfect on all types of crackers, or as a dip for fresh vegetables. Darby cheese balls are a favorite in the tavern and are also sometimes included on our cheese and fruit platter, as pictured. We recommend serving them with your favorite crackers. These are always a crowd pleaser at breakfast! 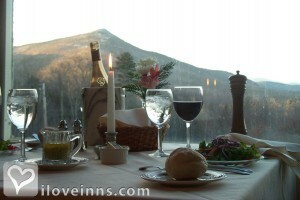 Although I didn't stay at the Inn, I had dinner at the restaurant with six other guests. 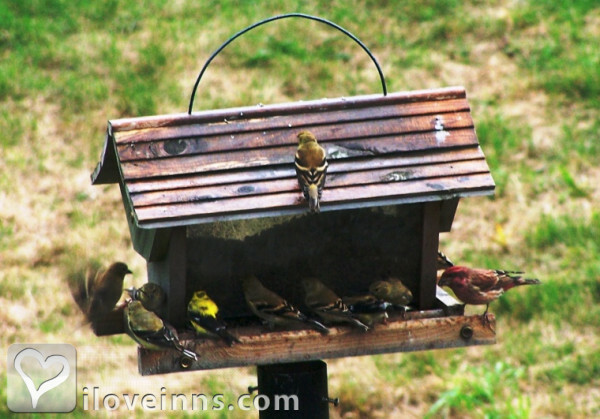 We were all extremely pleased with the ambiance, service and especially the food. Several of the members of my party had the pork entree, which was melt-in-your-mouth delicious, and the squash soup was silk on the tongue! Just based on the restaurant and what I could see of the Inn (at night), I would definitely visit here again, only next time, I'll be staying! If there is snow on the ground, call ahead and book a horse-drawn carriage ride--and remember your scarf and mittens! 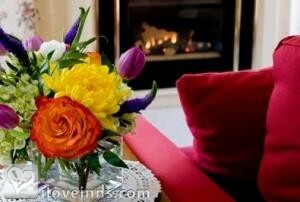 A brisk ride in the cold air will make those fireplaces, great wine list and dinner menu all that more welcoming. 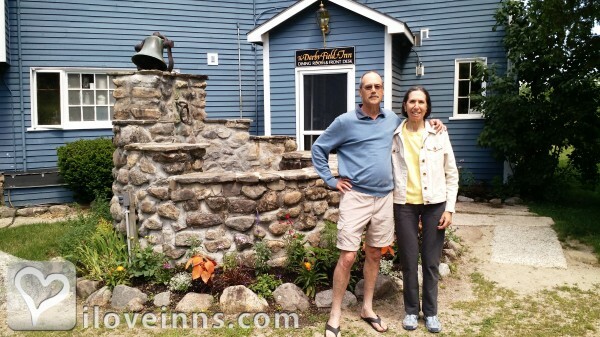 We have stayed here many times.Carol and Marc are wonderful. Stay in a Tradional room - a little more space. The food is wonderful. We have stayed in the winter - great snowshoeing out the back door and in the summer - great hiking and relaxing by the pool. I am looking forward to another weekend at the Darby. Inn Country USA, Iron Man.